Blackthorn was @SpeciesofUK from 9th to 22nd December, 2013. Blackthorn can be found growing both naturally and in planted hedges. Blackthorn is perhaps best known as an excellent hedging plant. It provides a tough, thorny, animal-proof boundary that can cope with most soils. 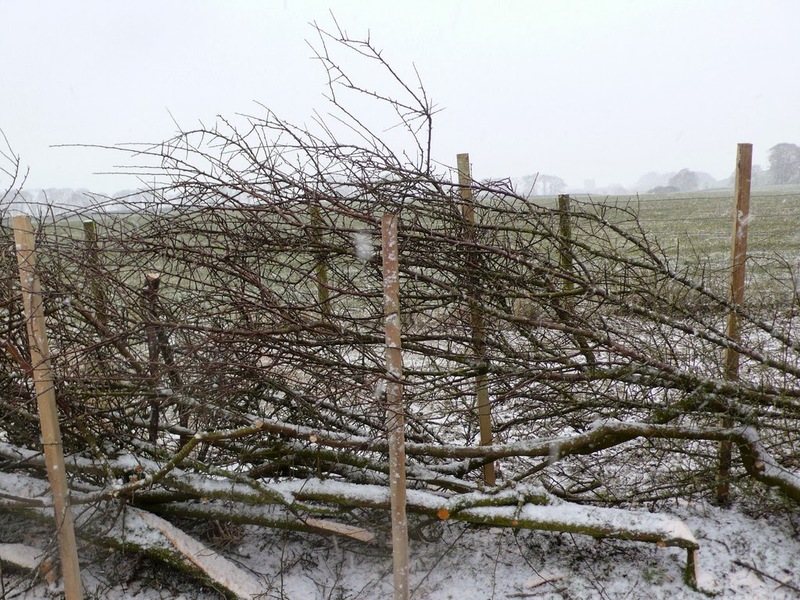 An even stronger blackthorn hedge can be made by 'pleaching,' interweaving living and dead branches. As well as being used in hedges, blackthorn is a natively-growing UK plant and it occurs naturally in scrub, copses and woodlands. Blackthorn is spiny, but pretty! The dark brown bark of blackthorn is smooth, but its twigs form perpendicular shoots, which develop into thorns. It's also densely branched, making it nigh-on impenetrable. Mature blackthorn trees can grow to a height of around six or seven metres and can live for up to a hundred years. 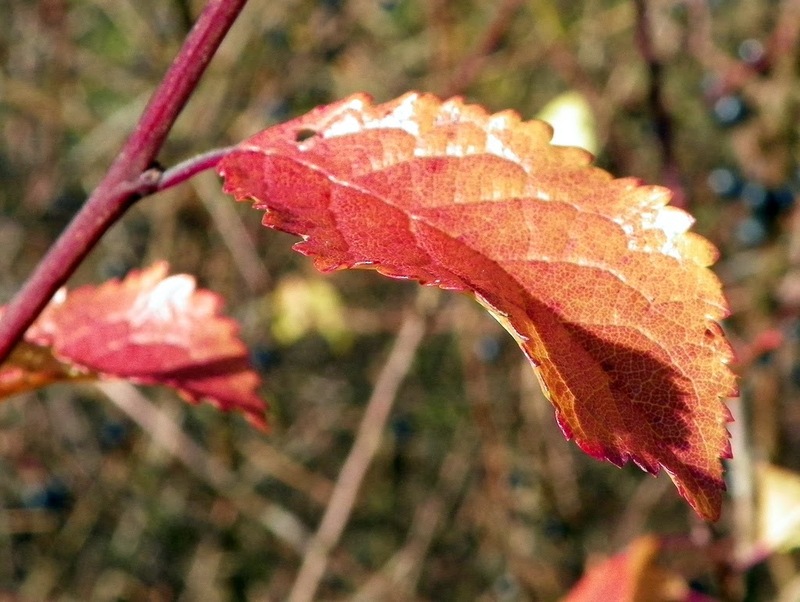 Blackthorn leaves are slightly wrinkled, oval, toothed, pointed at the tip and tapered at the base. 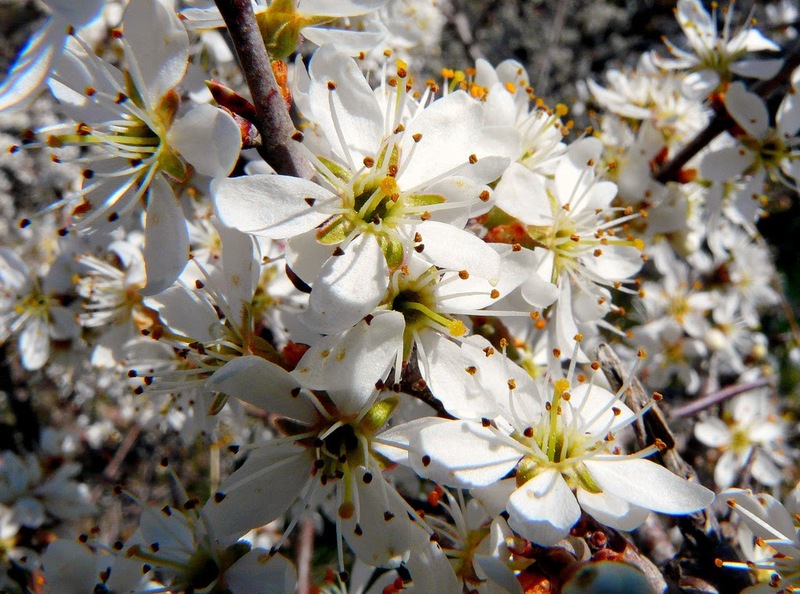 Blackthorn is hermaphroditic, meaning both male and female reproductive parts are found in one flower. 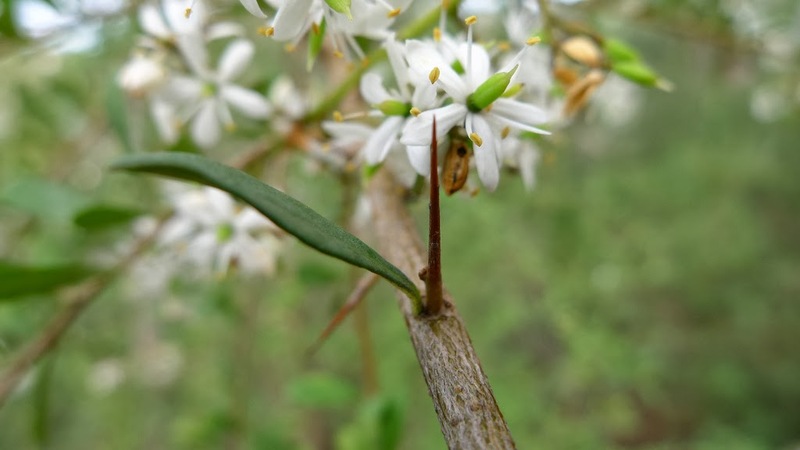 The flowers are white and appear on short stalks before the leaves in March or April, singularly or in pairs. The blossom is most spectacular in years where a false spring is followed by a very cold snap. 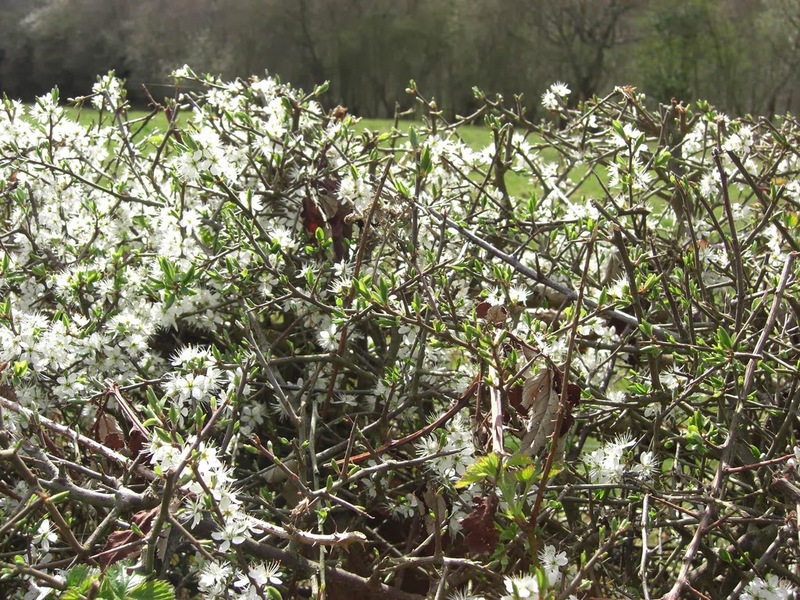 These are called ‘blackthorn winters’. But the loveliest thing about blackthorn is its fruit. 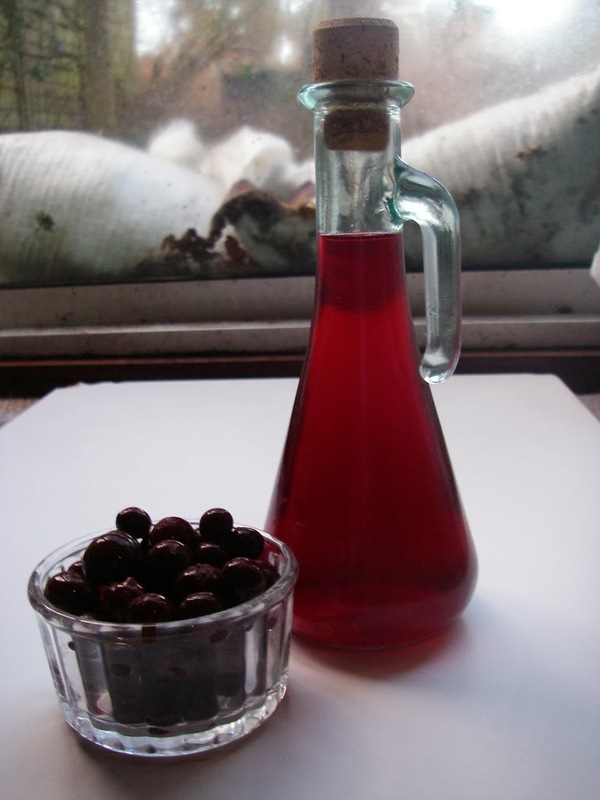 Sloes are used for wine making and preserves and, most commonly, flavouring sloe gin. 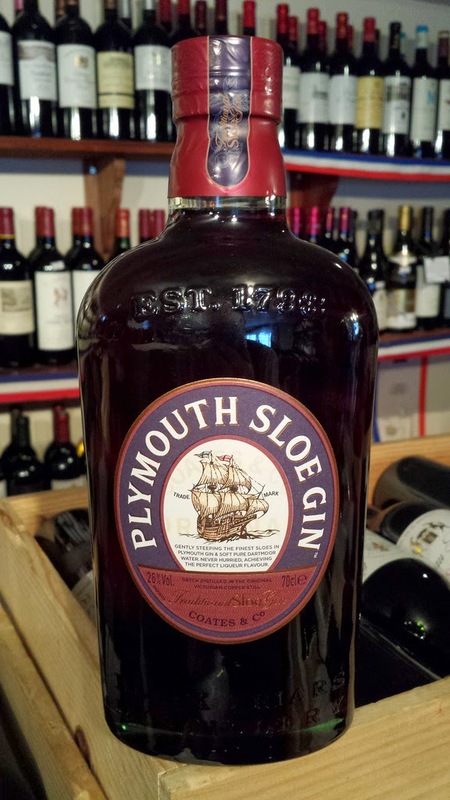 Sloe gin is a red liqueur flavoured with sloes which has a high sugar content. It originates in the UK! 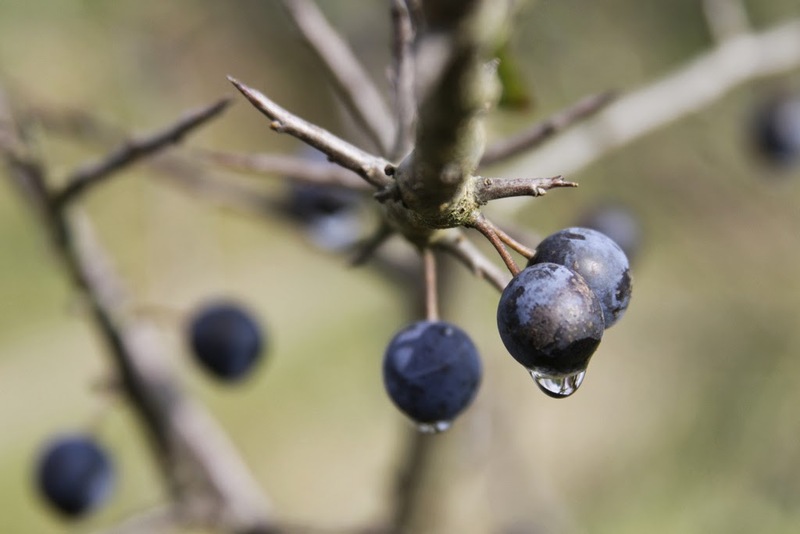 It’s best to use ripe sloes, traditionally picked after the first frost (late October to early November). 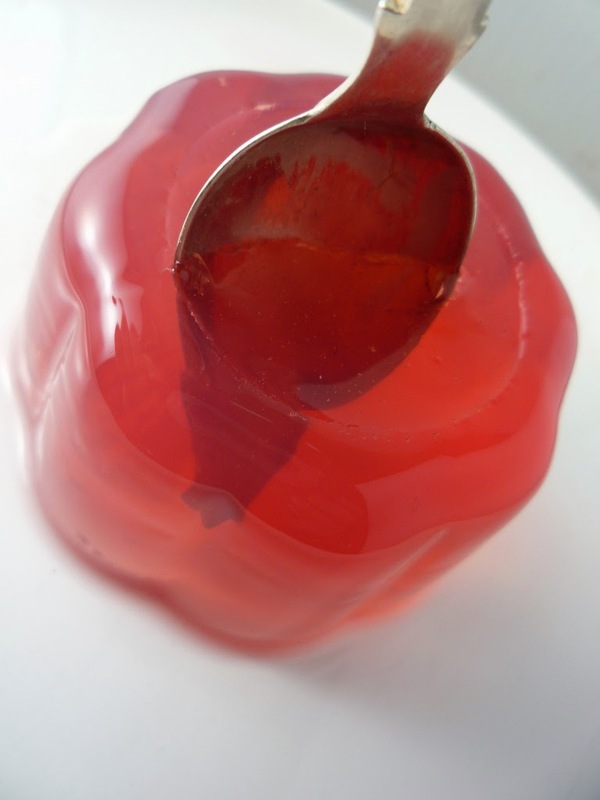 A half bottle of sloes is mixed with half their weight again in sugar and the bottle filled with gin, before being left for two months and then strained. 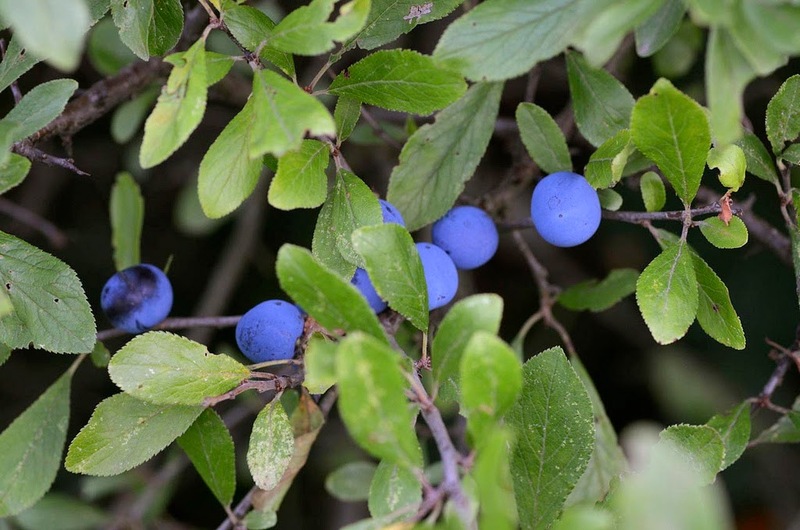 In addition to flavouring gin, sloes are used in jellies, conserves and syrups, and have various uses in folk medicine. 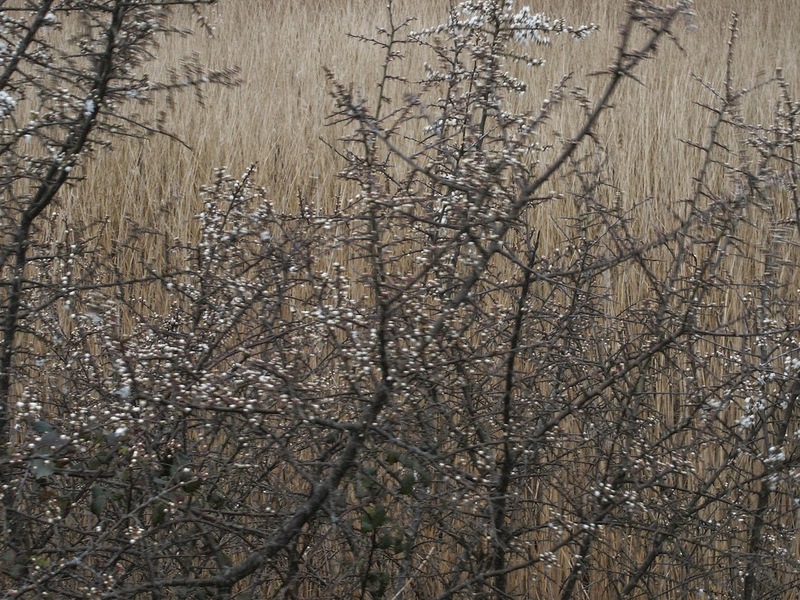 The flowers of blackthorn are also edible, while the leaves have been dried and used as a substitute for tea. It's possible to confuse blackthorn with hawthorn. Both plants are from the Rosaceae 'rose' family, and they are both very thorny. However there are several key differences. 1. 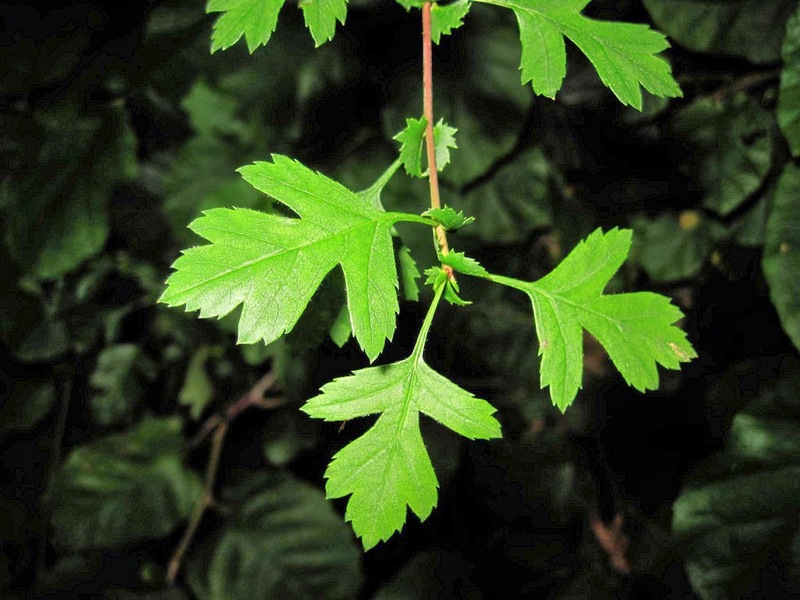 Blackthorn has oval, tapered leaves, whereas hawthorn has distinctive small, lobed leaves. 2. Blackthorn thorns are noticeably longer than hawthorn, and the plant is more messy-looking and dense overall. 3. 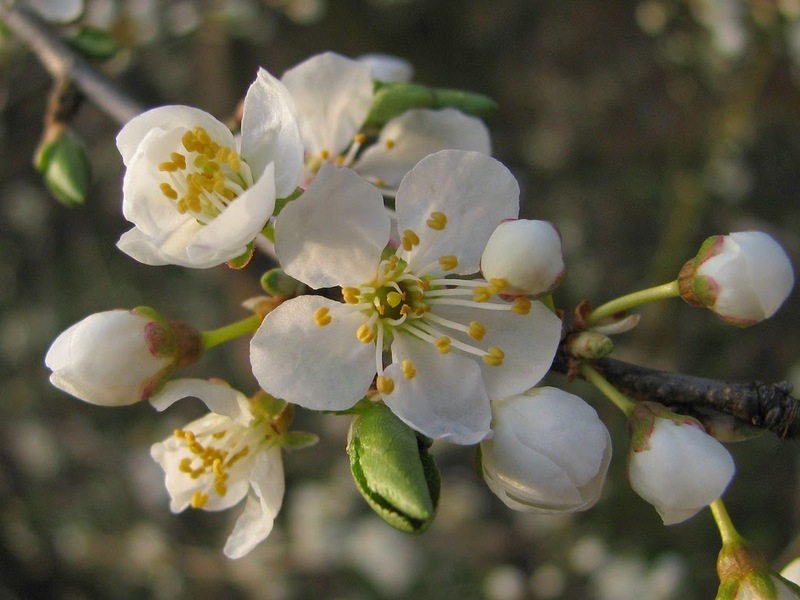 Blackthorn flowers appear before the leaves, whereas hawthorn flowers appear after. 4. The fruits are completely different. 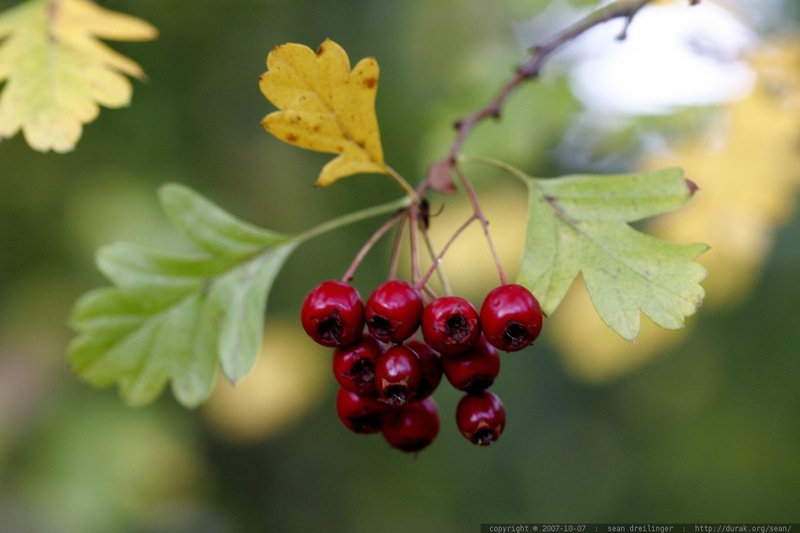 Haws from hawthorn are red, and sloes from blackthorn are blue. Blackthorn hedgerows provide a great habitat to many other species. Because blackthorn flowers quite early, it provides a valuable source of nectar and pollen for bees in spring. 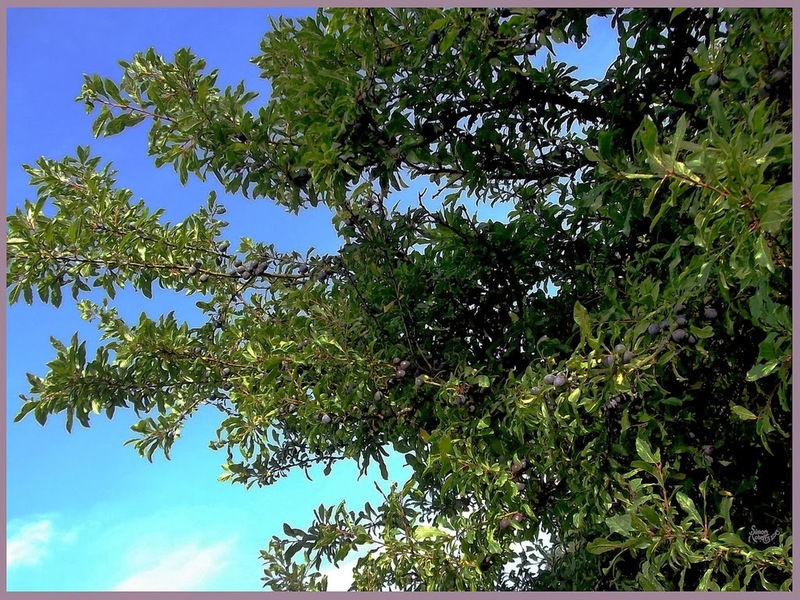 Blackthorn foliage is a food plant for the caterpillars of moths such as the lackey, magpie, common emerald, small swallow-tailed and yellow-tailed. 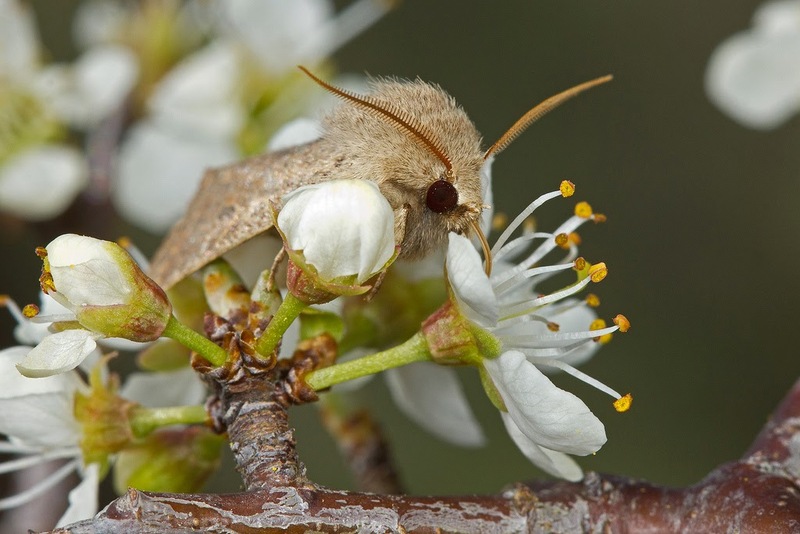 Moths also take advantage of the blossoms as a source of nectar. 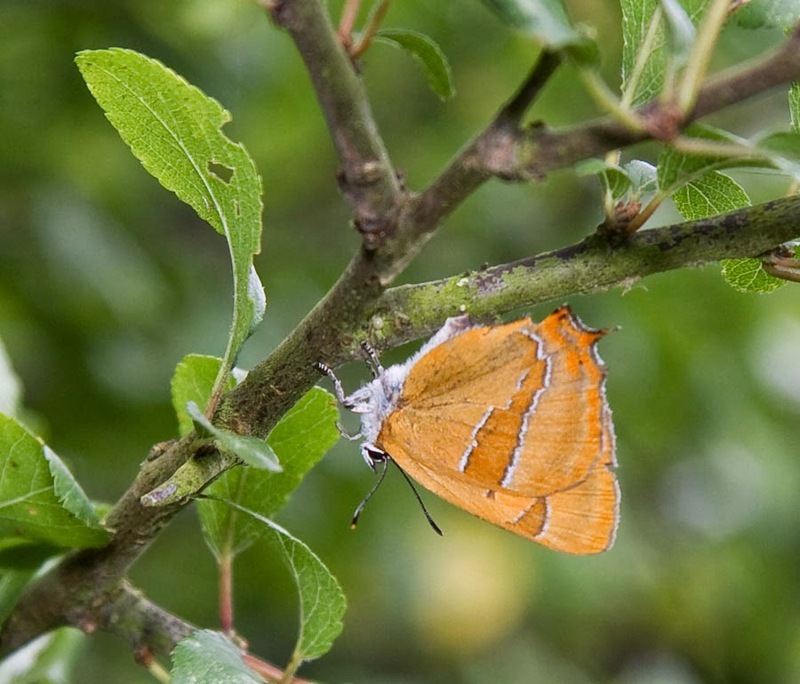 Blackthorn has a particularly close relationship with the brown hairstreak butterfly, which returns to blackthorn in late August to lay its eggs. The eggs overwinter and hatch in spring when the buds are breaking. Birds such as nightingales nest among dense, thorny blackthorn thickets, eating caterpillars and other insects from the leaves. Then they feast on the berries in autumn. Blackthorn timber is hardwearing and tough. The wood from blackthorn was traditionally used to make walking sticks, tool parts and riding sticks. Blackthorn was the traditional wood for Irish shillelaghs - clubs/walking sticks that were used to settle disputes in a gentlemanly manner. Blackthorn has long been associated with witchcraft, and it is said that witches' wands and staffs are made from blackthorn wood.